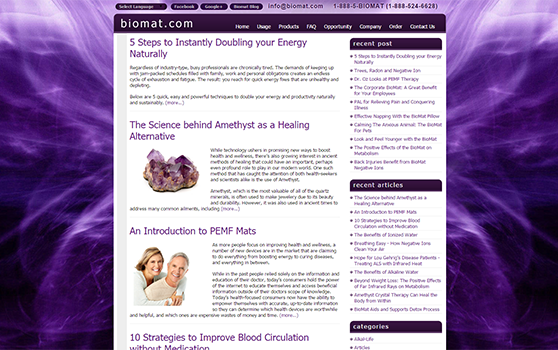 The BioMat is a cutting-edge medical device, combining far infrared rays, negative ions and amethyst channels for remarkable pain relief, easing joint pain and restoring balance to the human body. We worked on the back-end functionality of this ecommerce website - boosting conversions by leading the user intuitively through product selection, basket, check out and delivery/follow up. We also gave the client some pretty powerful administration tools. You can't see them, but they're definitely there! Learn more about this project by visiting it live here.